John O. Danberry, age 89, Greencastle, passed away Saturday, December 1, 2018 at his residence. He was born August 16, 1929 in Parke County to John D. and Sarah Jane (Wright) Danberry. He was a 1947 graduate of Reelsville High School and a member of First Baptist Church in Greencastle. 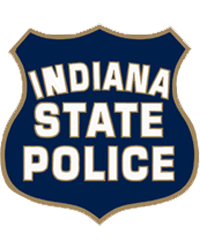 John served with the Indiana State Police from 1953 to 1979, retiring with the rank of First Sergeant and as the Department's Chief Polygraph Examiner. He then co-founded with his wife Danberry & Associates, Inc. where he continued to provide polygraph and investigative services to attorneys, banks, insurance companies, and other businesses. Following their retirement from this business John drove a charter bus all over the United States and Canada for many years and finally worked for North Salem State Bank, retiring in 2014. He married Wilma Jean (Wilson) Danberry on June 2, 1950 and she passed away on April 15, 2013. He was also preceded in death by his parents and younger brother, Roy Vernon Danberry (at age 7). Surviving are three children, Kenneth D. (wife Linda) Danberry of Dothan, Alabama, David W. (wife Dana) Danberry of Greenwood, Indiana, and Cheryl A. Danberry of Greencastle, grandson John G. (wife Stacie) Danberry of Westfield, Indiana, granddaughter Amy (husband Bill) Betts of Fishers, Indiana, and four great-grandchildren, Oliver and Leah Danberry, and Zachary and Jacob Betts. John and Jean were avid square dancers for more than 30 years traveling all over Indiana and many states to enjoy special dances and festivals. As in dancing they partnered with each other in life raising their family and managing various businesses and properties. They enjoyed spending time with family especially in the Smoky Mountains. Funeral services will be at 1:00 P.M. on Friday December 7th at First Baptist Church, 404 Judson Dr., Greencastle with Aaron Plessinger officiating. The family will receive friends at the Church from 11:00 A.M. until the time of service. Interment will follow at Forest Hill Cemetery. Whitaker Funeral Home, Cloverdale, has been entrusted with arrangements.